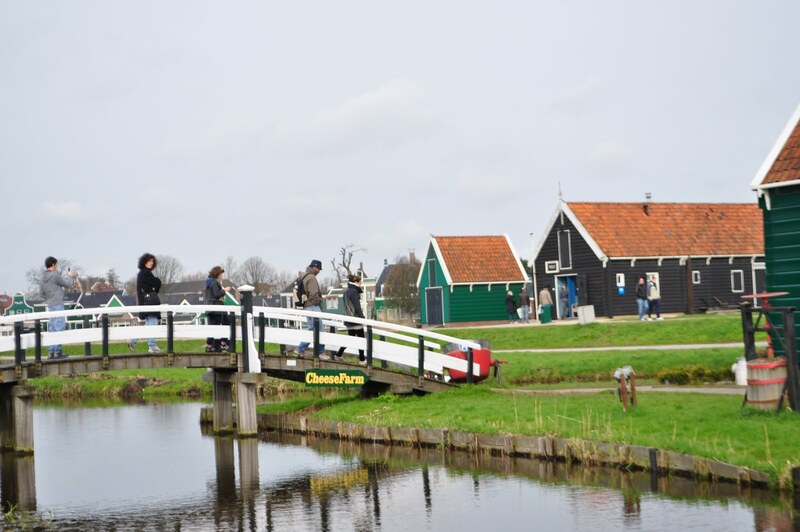 There is much to be seen in Zaanse Schans. 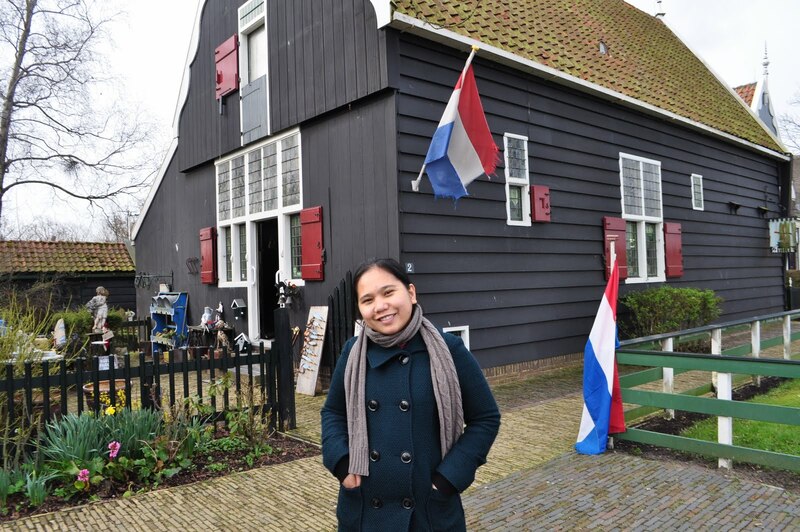 It is a delightful traditional Dutch village on the banks of the river Zaan with characteristic green wooden houses, charming stylized gardens, small hump-backed bridges, tradesmen's workshops, historic windmills and engaging little shops. 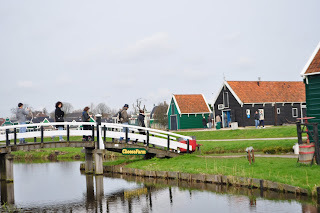 This enchanting village has been lovingly established by relocating local houses, windmills, storehouses and barns to form a remarkable replica of a typical Zaanse village of the seventeenth and eighteenth century. The moment we set foot on this place, we were charmed... well, at least I was. 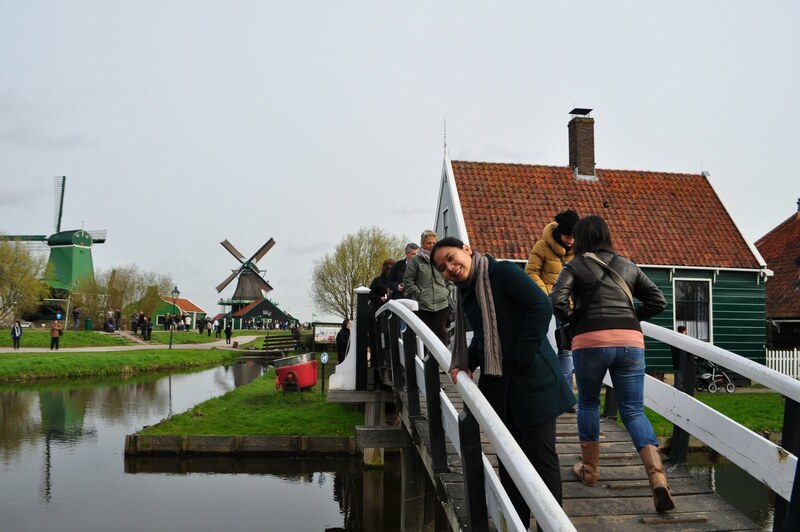 It was just beautiful and relaxing with everything almost done in green: the houses, the windmills, the grassy fields. 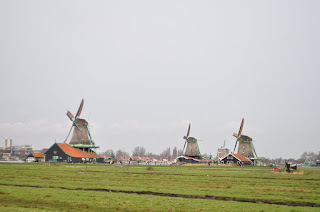 The air is tangy and a bit pungent with cheese but it is a delightful odor nevertheless. 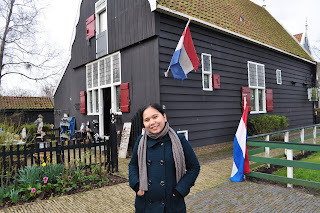 I really felt like I was living in that rural village. 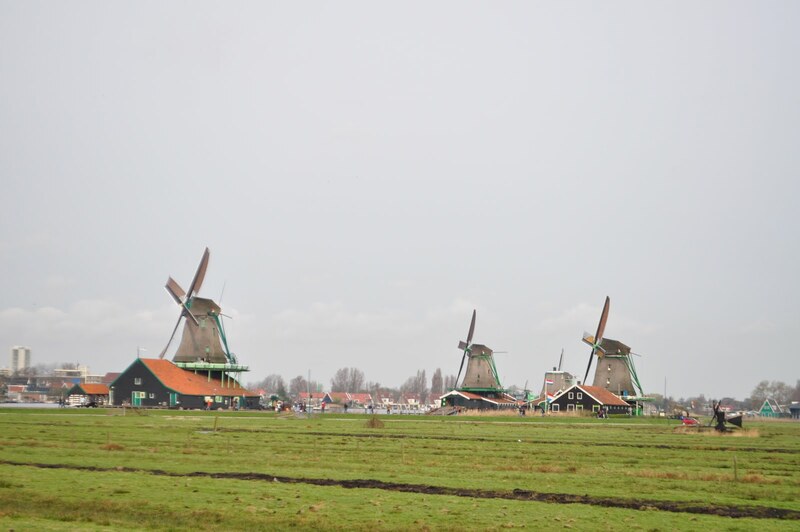 The only thing missing is me wearing wooden clogs and traditional Dutch costume.